Saturday night I decided I was not leaving my quilt room until I had made a project with paper piecing. A few hours later, Objects of Desire sprung to life! It measures 10-3/4" x 18" and was quilted with two layers of Warm & Natural batting. 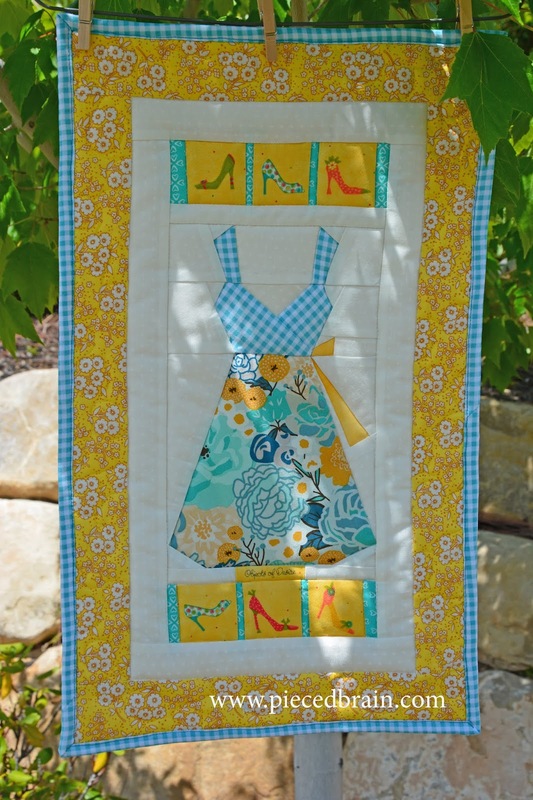 I used Aurifil monofilament for the quilting because I did not want anything to distract from the dress and shoes. 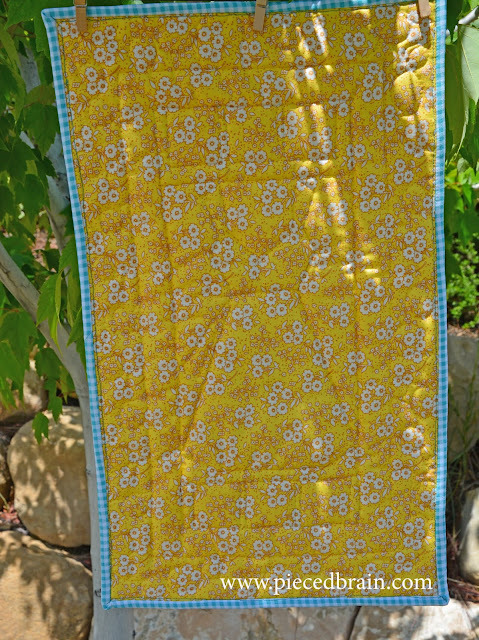 The quilting is simple: stitch in the ditch everywhere, and loops around the bouquet of flowers on the yellow border. Can you believe those shoes and the words "Objects of Desire"? They fit perfectly with the dress and I just had to fussy cut them. 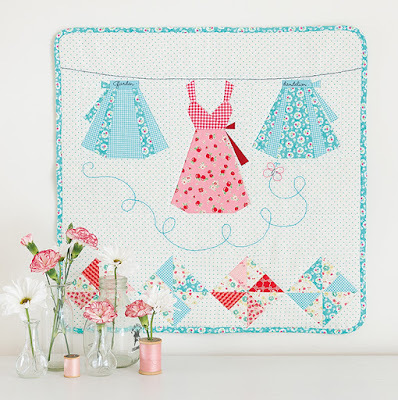 I chose the floral and the gingham fabrics which I just got a few weeks ago from Riley Blake Designs (I got a bolt of each as I loved them so much). The shoes came from some scraps of a fabric by Moda, I think, and the blue sashings are by Moda for sure (April Rosenthal's Mama's Cottage) as I am using them for the Clementine Quilt Along but had to steal a little bit for this project. 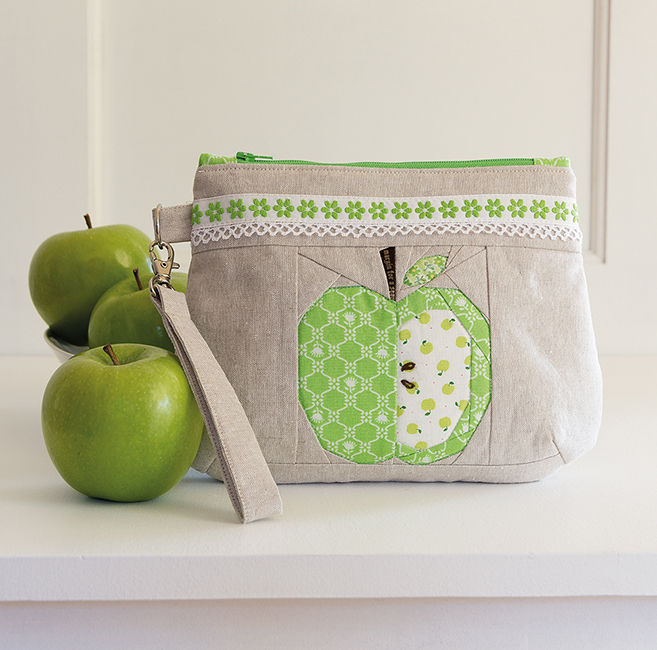 The backing is also by Riley Blake Designs, and I had just enough leftover from another project for the backing. Phew! You can see the quilting - very simple. 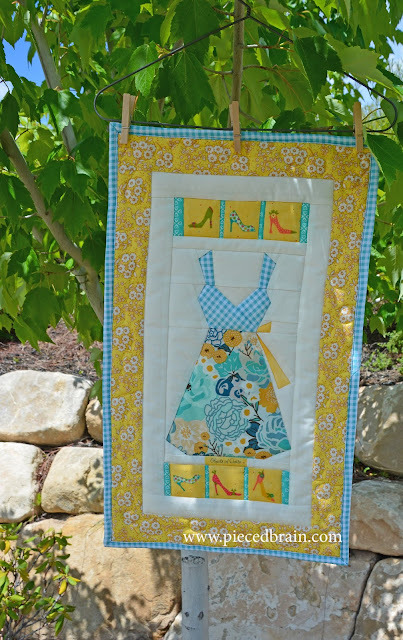 I fell in love with this paper piecing dress pattern when I first saw it a few weeks ago. It reminded me of a dress my mom used to wear. I am so glad I finally turned it into a project. It will make a great gift except I am so tempted to hang it on my quilt room because I love how it turned out. I got the pattern from the book Super Cute Paper Piecing - Designs for Everyday Delights by Charise Randell, published by Martingale. This book has been on my cutting table since I received it for review because I 'needed' to make a project (or more!) from it. 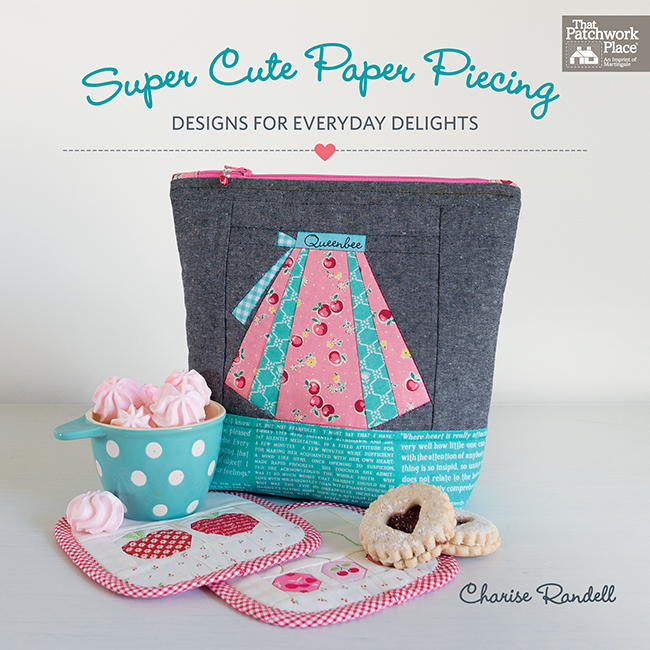 Charise's paper piecing motifs are adorable, easy to make, and just the right size for a quick project. The instructions for the paper piecing are given at the beginning of the book with lots of photographs so if you have never attempted paper piecing before this is where you want to start. Then, each project is explained well and has diagrams to ensure guess-free assembly. All photographs by Brent Kane for Martingale. Used with permission. Isn't the wall hanging above beautiful? Both the dress and the aprons kept saying "pick me" whenever I went back to this page. It was very late on Saturday so I opted for tracing only the dress from the pullout templates. I used tracing paper as I was out of foundation paper (I was so determined to make this project that I would have used cardboard if it had been my only option!). OMGoodness! I absolutely love this pouch! It would make a perfect gift. I need to go get some zippers because I must make it! 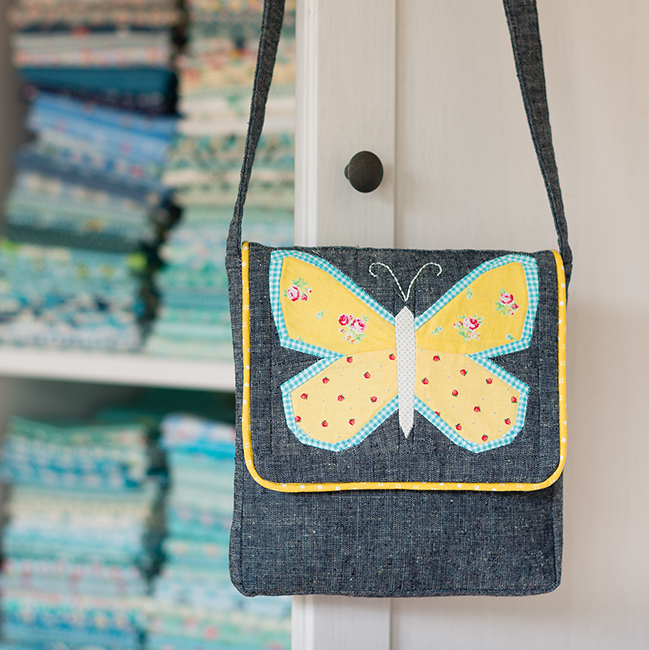 This butterfly would look wonderful on a baby quilt, too. I recognize that gingham! 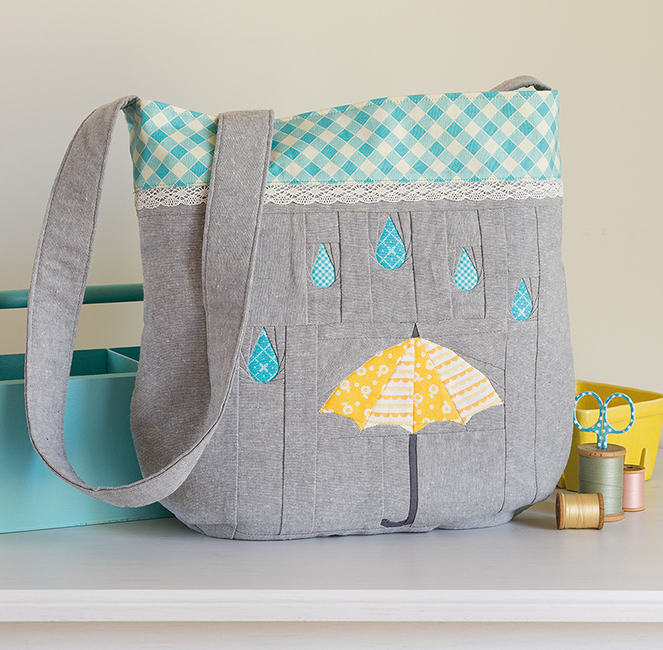 Charise's patterns are delicate and innovative, and her projects' simple designs are ideal to showcase them. You can keep the vintage look as she did or customize it so that your chosen project will look more traditional, feature novelty fabrics, or display your favorite 1800s reproduction fabrics. 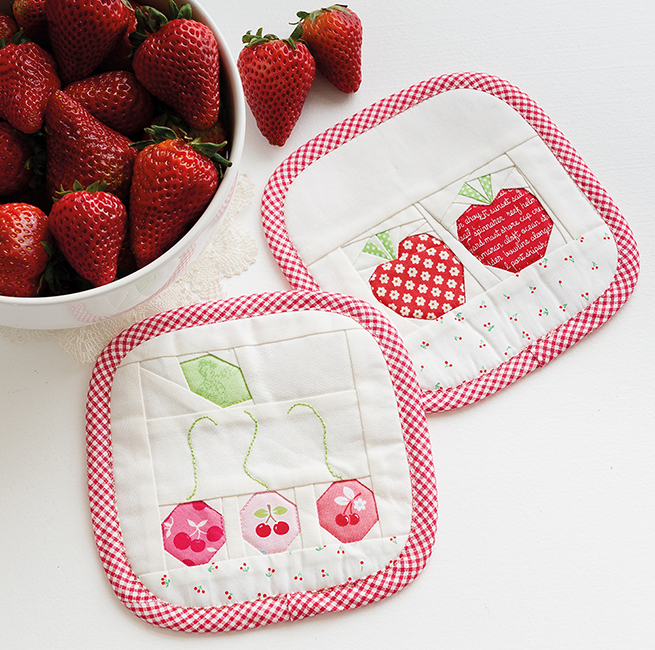 These coasters, if you make six of them, would make a wonderful housewarming gift. In fact, any of the 10 gorgeous projects in Super Cute Paper Piecing - Designs for Everyday Delights will make a friend or family member very happy. You do not have to do anything special to produce a dress as accurate as this - just follow Charise's easy instructions and enjoy the results. This is just too cute! And your fussy cutting is just beautiful! I love paper piecing because you can make such wonderful shapes. Thank you! If you love it, then you will have to get this book! That is simply darling! Great job! Thank you! Those fabrics are too cute! 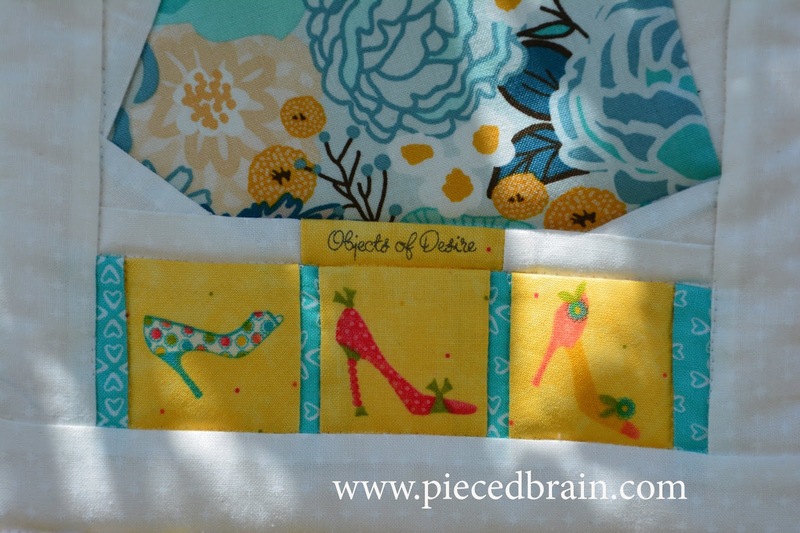 I know Charisse's paper piecing style from her contribution to the Splendid Sampler. I didn't know she had a whole book out. I will have to pick one up this summer when I am in the States. Love everything you showed!